In the last decade or 2 we have been seeing a rash of products aimed and keeping germs at bay. We’ve begun using antibacterial cleaners on all surfaces in all rooms. Many parents have not yet got the message that broad spectrum antibiotic medications can be overused and often are! But recent studies suggest that they do kill germs, but even the good ones. They now see our immune systems as being just like all of our other systems- use it or lose it. To build a strong immune system kids have to be exposed to germs! So, let’em play in mud, and jump in puddles. At home, use the “5 second rule” if the cupcake is dropped go ahead and eat it. If it’s dropped at a restaurant or say, the ER, toss it. No need to be crazy while working out the immune system. Don’t rush to the doctor at the first sign of sniffles or coughs. In fact, only treat low grade fever of 99-100.9 degrees if your child is miserable. The same can be said of the common fevers of 101-103.5 for 24 hours or your child is miserable- whichever comes first. Fevers are your bodies way of killing viruses, so if possible, give your child’s body 24 hours to heal itself. But use common sense. This is not advice to ignore a sick child! So, regular soap and water are great, and a little dirt is safe, just make sure you wash long enough. (you know you love singing Happy Birthday 2 x, right?). Deliberately exposing children to infection is wrong, but keeping them in a germ free bubble won’t help either! It’s supposed to stop raining and fun time in the sun is here. It’s very important to understand the ways to protect your child from harmful UV and UVB sun rays- no matter how fair or dark complected- sunburn effects everyone! And just a few slight burns can add up- the effect of sun damage overtime can snowball into skin cancer. So, it’s important that your child’s skin is protected from harmful rays whenever they are outdoors. Shade is best. Avoid doing things out of doors in the middle of the day- plan your activities for the morning or after 3 p.m. If that’s impossible, hang out under trees, umbrellas or a pop up tent. Beach umbrellas or small hand umbrellas are great and you can pick up cheap (under 20.00), easy to set up tents at most discount stores. Clothing is great- your child probably won’t want to wear long pants and sleeves, but shorts and tee shirts are great too. Just remember to use sunscreen on exposed skin. Hats are great too, but remember the kid’s favorites may not cover the scalp, tips of ears and necks. If that’s the case, sunscreen is needed. You can be a desert rat and add a bandana to the back of a ball cap, but if that’s not possible, you have to add sunscreen. Eyes need protection too! Go and get everyone some cheap sunglasses- lots of pairs, they are easy to loose! You must use sunscreen that is at least SPR 15, but anything over 50 is a waste of money and may give you a false sense of security. Remember the SPF number refers to how much longer you could stay in the sun than if not using sunscreen under perfect conditions; applied correctly (that means enough, most of us are stingy when applying), it isn’t sweated off, or lost in the pool. Sunscreen should be applied 30 minutes before hanging around in the sun, and it must be reapplied after swimming, lots of sweating- that goes for waterproof sunscreen too! If you aren’t losing your sunscreen to sweat or the pool, it still should be reapplied every 2 hours if you can’t go inside. Two hours is a good rule of thumb for safe sun exposure WITH sunscreen. And remember, clouds do not block UV rays, they filter them—and sometimes only slightly. UV Rays are the cause of sun damage- not warm temperatures. Children still need protection. UV rays, not the temperature, do the damage. Remember to put sunscreen on the tops of feet if your child is wearing sandals, on the tops of their ears, any scalp the is exposed to the sun at the part. Kids often get sunburned when they are outdoors unprotected for longer than expected. Remember to plan ahead, and keep sun protection handy—in your car, bag, or child’s backpack. Thomas Learning Centers provides sunscreen from Rocky Mt. Sunscreen to parent for a nominal charge. Of course you are welcome to provide your favorite brand as well. Family pets and small children almost seem to be perfect matches for one another. Both are playful, easily accepting of others and can liven up a home. But despite what seems like a natural love for each other, children and pets do not inherently know how to have appropriate interactions with one another. Moms and dads will need to teach toddlers how to respect their furry friends. Have your child offer the puppy a toy to chew while being petted. When puppies are teething, they tend to chew on everything, including hands and arms, so having a chew toy handy will divert the puppy’s teeth away from your child. An added benefit is that the puppy will come to associate pleasant consequences (getting a treat) with being held by your child. Petting and giving affection: Children often want to hug dogs around the neck. Your dog may view this as a threatening gesture, rather than an affectionate one, and may react with a growl, snap or bite. You should teach your child to pet your dog from underneath the dog’s chin, rather than hugging him or reaching over his head. You should also teach your child to avoid staring at, or looking directly into, your dog’s eyes. Giving Treats: Children tend to become somewhat fearful and anxious when a dog tries to take a treat from their hand. This causes them to jerk their hand away at the last second. The dog may then jump up or lunge to get the treat, which may result in the child being knocked down. Have your child place the treat in an open palm, rather than holding it in his fingers. You may want to place a hand underneath your child’s hand to help guide him. 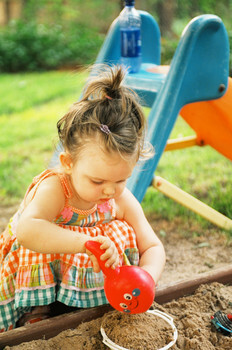 Supervising Play: Children run with quick, jerky movements and have high-pitched voices. These actions are highly stimulating to a dog. Consequently, your dog may respond by chasing or jumping up on your child. Encourage your child to play quietly around the new dog until both become more comfortable with each other. Your dog also needs to learn which behaviors are appropriate and which are not. Iul to teach your dog a “leave it” command that you can use when play gets too rough. Taking an obedience class together is a good way to teach your dog to respond to commands. Possessions: Your dog won’t know the difference between his toys and your child’s toys until you teach him. There are a few problems with power struggles. One problem is that the more you argue or try to force the child to do something, often the more tempers flare. When you and your child are both frustrated and angry, you aren’t likely to be able to accomplish anything. When kids can engage you in a power struggle, it often delays their task. For example, if you tell your child to clean his room and he argues with you, the longer he argues, the more time he is wasting not cleaning his room. Sometimes kids enjoy pushing their parent’s buttons in an attempt to get out of doing things. Lastly, when adults enter into a power struggle the goal is to win. Winning means getting a child to do something he doesn’t want to do. Sometimes the more desperate a parent becomes to get a child to comply, the more resistant the child grows. When children are forced to do something they don’t want to do, they often focus more on their anger toward their parent rather than learning a lesson. 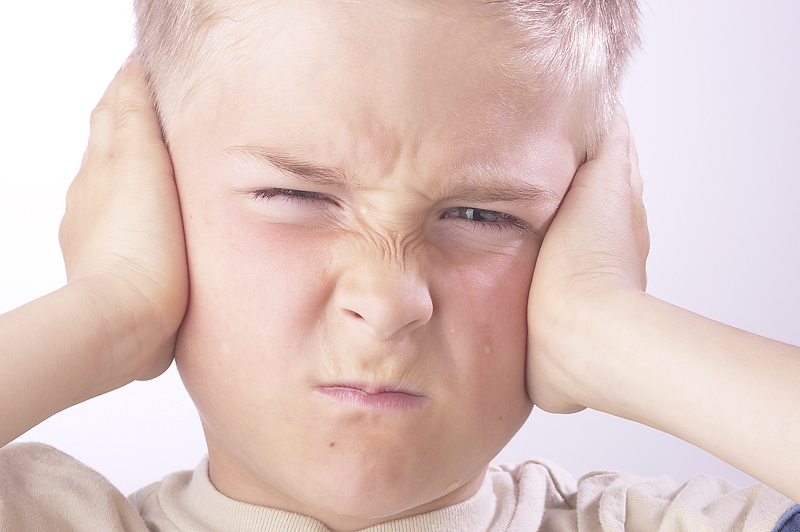 It’s essential that parents pick their battles when it comes to giving kids commands. Sometimes it makes sense to allow kids to face natural consequences rather than try and force them to do something they don’t want to do. Natural consequences often prove to be an excellent teacher. For example, if your ten-year-old is refusing to put on his jacket before he plays outside, it may not be worth arguing about. Unless it is dangerously cold, you might consider allowing him to go out without a jacket and the natural consequence is that he will be cold. If you find that yourself engaging in frequent power struggles over the same issue, try to problem-solve together. Look for a mutually agreed upon solution that will end the power struggle. I once worked with a parent who insisted her teenager’s room be cleaned daily. However, the teenager felt it was unreasonable to clean her room daily and they argued about this issue almost every day. Eventually, they problem-solved together and reached a compromise. Her mother agreed to keep her teenager’s door shut during the week and the teenager agreed to clean her room every weekend. It stopped the fighting and their relationship improved. There are steps parents can take to increase the effectiveness of their instructions. For example, state your expectations clearly and make your requests calmly. When possible, offer two choices. Just make sure you can live with either choice. For example, if you want your child to put his clothes away and he’s watching TV, say, “Would you rather put your clothes away now or do you want to wait until a commercial break?” Either choice will get the job done. But for a defiant child, it can seem like a victory to be able to wait until the next commercial break. Sometimes it’s necessary to provide a negative consequence. Instead of arguing or trying to force a child to do something, stay calm and issue a single warning. If your child doesn’t comply, a consequence such as taking away a privilege can be very effective. Don’t provide multiple warnings or repeat your instructions over and over. Simply make it known “You can comply or you can lose a privilege.” Then leave the choice up to the child. For example, instead of nagging, arguing or begging your child to go to bed, provide a warning. Say, “If you don’t go to bed now, you will lose your electronics for 24 hours.” If your child doesn’t go to bed, he loses his electronics and there’s no arguing about it. If he continues to stay up, the natural consequence is that he’ll be tired tomorrow. Don’t threaten to take away anything that you wouldn’t follow through with doing. For example, don’t say you’ll take away his trip to Grandma’s house this weekend unless you really plan to take that away. If you make idle threats and don’t follow through you’ll be teaching your child that you don’t mean what you say.